The biggest MCU event yet, Avengers: Endgame, is all set to hit the screens in April. The movie would be an amazing follow up to Infinity War and Captain Marvel. But, what would be even more amazing is the first MCU movie post the conclusion of the Infinity Saga, which is Spider-Man: Far From Home. The first trailer of the movie dropped a few weeks ago. Tom Holland returns as the friendly neighbourhood superhero, leaving us with the question of how he resuscitated after the events of Thanos' universe-bending snap. 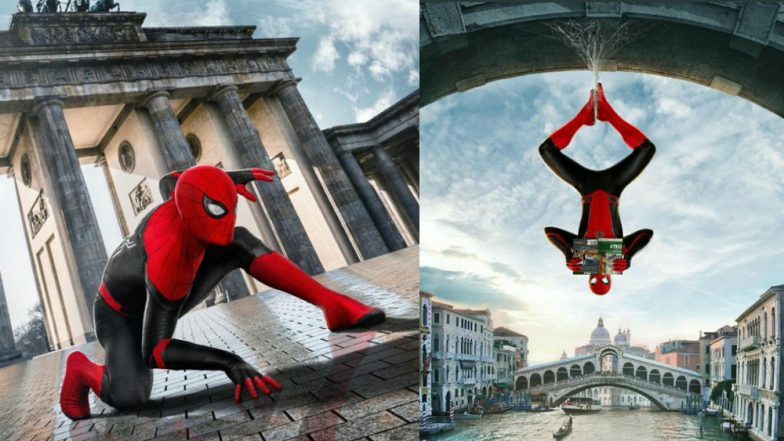 While we wait for answers, Tom Holland shook the internet with brand new posters of Spider-Man: Far From Home. This time he did not accidentally leak them. Maybe that joke's getting old now. Tom took to his social media pages to share a brand new look at Spider-Man's European adventures. We see the Spidey 'hanging out' at various picturesque locations as his superhero adventures go international thanks to his school's field trip. Sharing the new posters of Spider-Man: Far From Home, Tom wrote, "I thought I’d kickstart your week with a little spidey action. Spider-man far from home hits theatres July 5th and it’s his craziest ride yet." While the makers have said that Spider-Man: Far From Home is set minutes after the events of Avengers: Endgame, but we still have reservations. Because the very existence of a Spider-Man 2 trailer would be a huge spoiler for Endgame. Won't it? Joining Tom would be, Jake Gyllenhaal as the villain Mysterio, though it has been hinted that he'd be helping the hero out. Michael Keaton as the Vulture, Zendaya as Michelle, and Marisa Tomei as Aunt May are set to return. Cobie Smulders and Samuel L. Jackson will be reprising their MCU roles in the movie. Spider-Man: Far From Home opens in theatres on July 5th. The superhero movie has been directed by Jon Watts. Gwyneth Paltrow's Kids Know The Plot Of Avengers: Endgame Ahead Of Most of The World!